Its days are numbered thanks to progress. 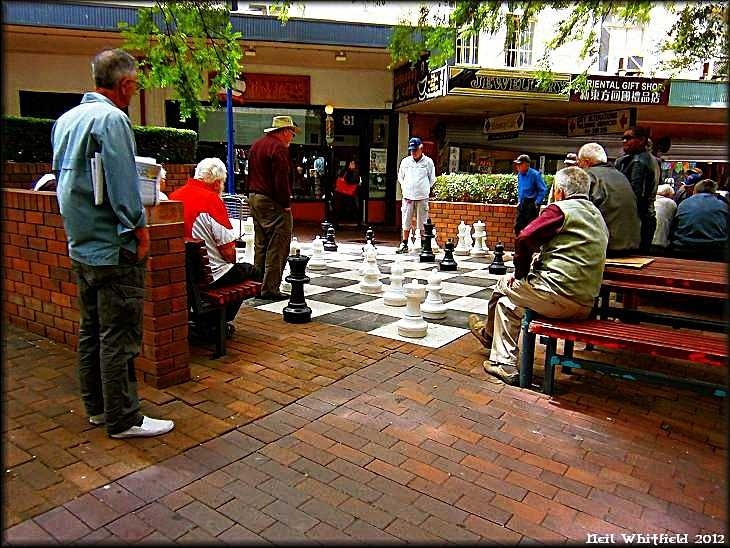 One Illawarra Mercury reader noted “The chess board is the only thing in the mall that actually gets used regularly. It would be a shame to get rid of it.” It is to be replaced on another site, apparently. This entry was posted in architectural, local landmark, local parks and gardens, multicultural, people, spring, street shots, Wollongong. Bookmark the permalink. I hope that the new site is convenient for all the former players. Great shot, incidentally!